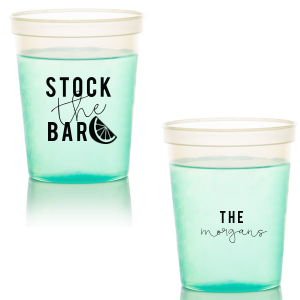 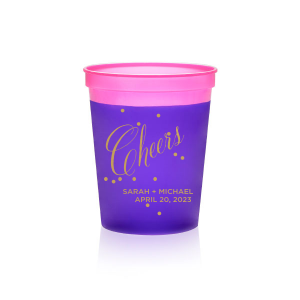 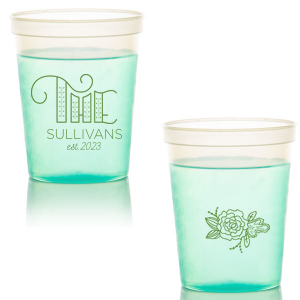 Entertain your wedding guests with your color changing 16 ounce mood stadium cups. 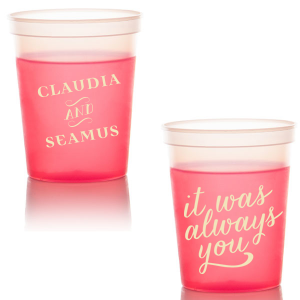 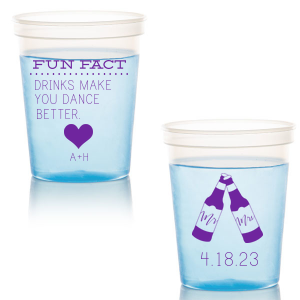 Choose a color and graphic that complement your wedding design, or opt for a clever message like “fun fact: drinking makes you dance better!” Your unique personalized 16 ounce mood stadium cups will be a useful party favor your guests will enjoy using long after your wedding day. 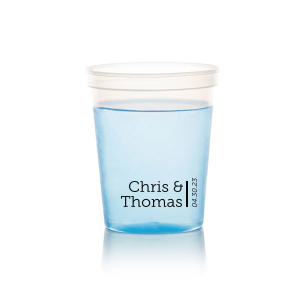 Give your wedding bar an extra touch of personalization and entertainment with For Your Party’s customized 16 ounce mood stadium cups. A fun bar addition, these plastic wedding cups change color based on the temperature of your drink. 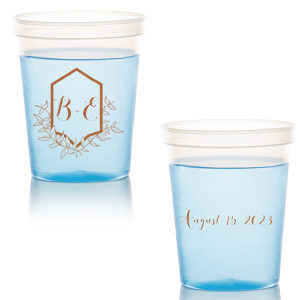 Personalize your 16 oz wedding cups to match your wedding style or add a sweet sentiment like “drunk in love” using the FYP Customizer. 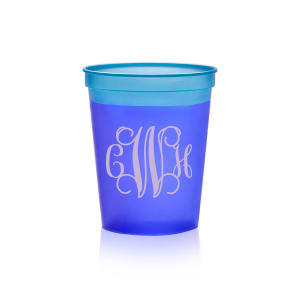 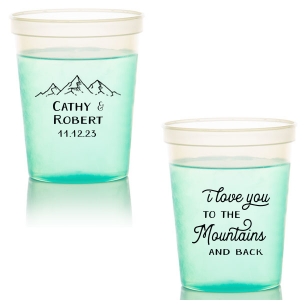 With a selection of cup colors, dozens of screen printing colors, and a library of designs, you are sure to find the custom 16 ounce mood stadium cups you want for your wedding. 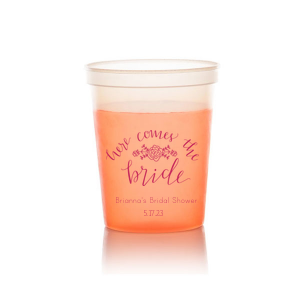 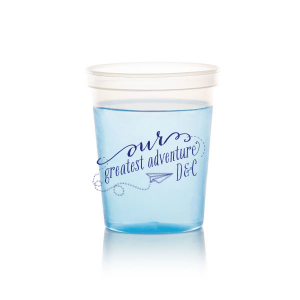 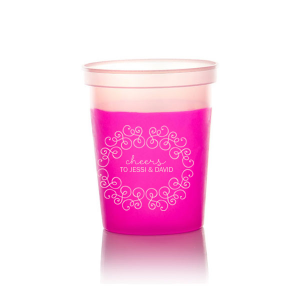 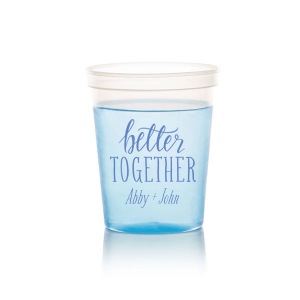 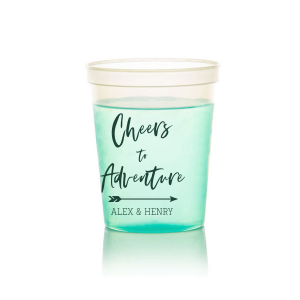 These BPA free, shatterproof cups are built to last, so your guests’ plastic wedding cup can become a fun and useful wedding favor that they’ll use long after your wedding day. 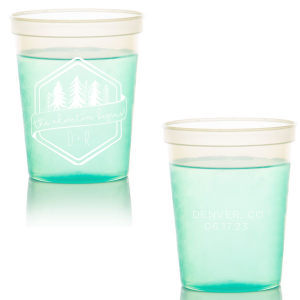 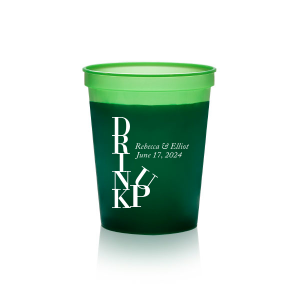 These 16 oz plastic mood cups for your wedding guests are great for serving beer, soda or water. 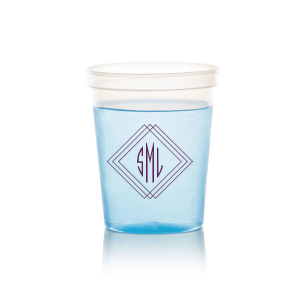 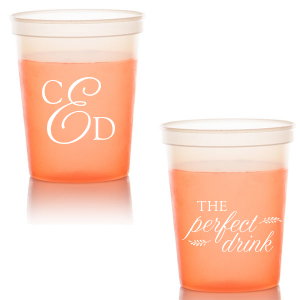 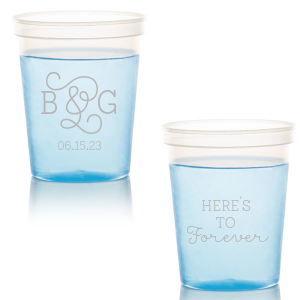 Customize plastic mood cups for your wedding today!